WM Recordings is now also featured on eMusic. 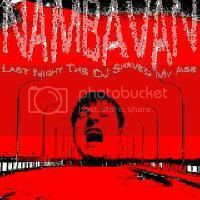 The holidays are over, so we’re back in full swing with a new album by Nambavan. More goodies coming soon! 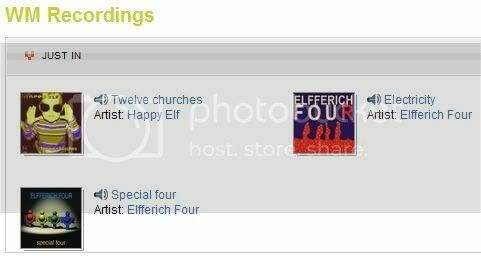 Our latest release – ‘Together’ by Happy Elf – has been online less than 24 hours but the kind folks over at Starfrosch.ch have already posted a review. Read it here. 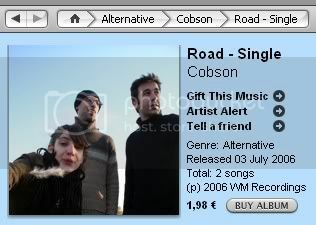 Click the pic and buy! It’s always good to hear something new from my own soil, and this time it’s even two labels: WM Recordings from Heerlen and Rallehond Records from Dordrecht/Breda, all three cities wide apart in The Netherlands, actually. They see it as their as their task to present ‘musicians in a professional way’. These musicians play a variety of music: none of these labels operate in one specific style. 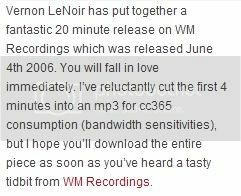 In most of these fourteen pieces, none by anyone I ever heard of, can be classified as ‘influenced by popmusic’, but some drift far apart. Sometimes pretty straight forward rock/dance influenced as with Happy Elf or DIT, acoustic guitars and vocals by Kinley Caliper and CobsOn, electro pop by Flexor, Anton Oosterwijk, and Nambavan. The weirder pieces are by the ambient guitars by Century Of Aeroplanes (who sound like Radiohead on a lot of drugs) or the downright ambient music of Lee Rosevere and Sid Peacock and the classical piano composition by Romme Bliger or TROY’s chamber music piece , to end with the weirdest of all Stefan van den Hout whistling in his living room. Like said, none of these names may mean anything, but all tracks are free to download, so perhaps there is something in there for everyone. Having poor credit doesn’t have to be the end of your financial life? We will find the plan that suits you, guaranteed. Click here moneyfall.co.uk for more information. And while we’re here: check out our latest release, a full length album by Kinetic Jane. Polish beats with a twist. Don’t forget you can still vote for us. We’re not in it for the money, the collaboration of WM Recordings and Rallehond Records, has been nominated for the “Lowlands Top 25” of Dutch organisation FRET/Nationaal Pop Instituut. 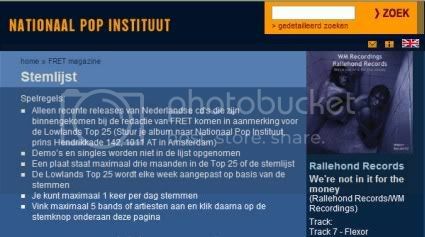 You can cast your vote through http://www.popinstituut.nl/lowlands/stemlijst.html (scroll down). 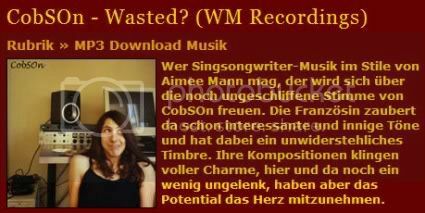 Phlow.net has published a nice review of CobSOn’s Wasted?